Trina Solar, a global leader in photovoltaic modules, solutions and services, predicts stability and growth for the UK PV market in 2014. As the industry moves out of the uncertain times caused by the EU trade case, the minimum prices established and the reduced number of large PV providers will help return the market to calmer waters, with a renewed emphasis on quality and service. Detailed knowledge of the undertaking agreement between the EU and China, and its implications for different market players, will, however, be a key factor in any future success stories. Richard Rushin, UK Sales Manager, described the company’s forecast for 2014. He explained: “The market outlook for the UK is one of the best in Europe so I am extremely positive about the opportunities for growth over the next 12 to 18 months. 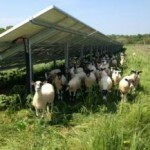 “The EU-China solar trade agreement has changed the business landscape for solar companies. With a minimum pricing now in place, we are competing on quality and service. But there is also now a vital extra dimension in that both purchasers and manufacturers face stiff penalties if they breach the pricing agreement, something that could inadvertently happen without due care and attention. These penalties mean that purchasers must conduct due diligence on a provider’s back-office compliance team to ensure business security. The agreement reached between the European Commission and the Chinese Chamber of Commerce over the summer set a minimum price for Chinese manufactured solar panels of 56.28 Euro Cents/W. Failure to meet this minimum price will result in heavy penalties and the application of punitive tariffs of 47.6 per cent. Richard also highlighted the importance of evolving technology. Innovation will form a key differentiator for the market, with a special focus on reducing BOS cost and improving the output and profitability of PV. 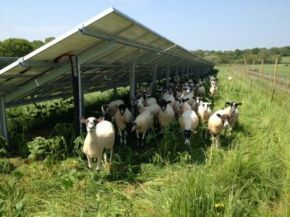 “Innovations such as Trinasmart, and our longstanding commitment to, and experience in, the UK, will be a powerful combination for the solar industry in 2014,” Rushin concluded.